1. First, understand WHY breakfast really is the most important meal of the day. Would you go over eight hours of the waking day without eating a single thing? If your answer was hell no, I need food for energy and I would be starving, then don't do that to your body in the morning! The body is in rest/repair mode while you sleep, and it's important to give yourself the nourishment you need to start the day. Think of it like breaking an eight hour fast – when you eat breakfast, your glucose levels are replenished, you get essential nutrients and vitamins, and your energy levels will be more even throughout the day. Learn more about why you should eat breakfast from the Better Health Channel. 2. Stick to a routine, and have a backup breakfast plan when things go awry. Figure out how much time you are willing to spend making/eating breakfast every morning, and then work that into your schedule. That could mean going to bed 20, 15, or 5 minutes earlier, and waking up earlier – or that could mean making breakfast the night before. Whatever works for you, it'll be worth it! 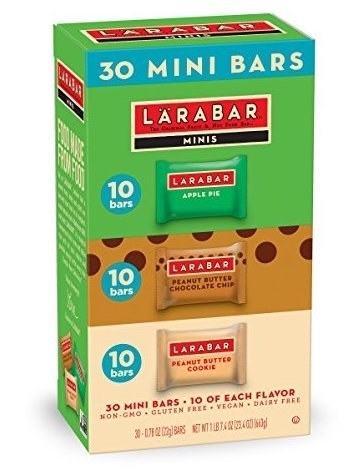 And when chaos ensues/you're running late (I'm literally writing this having not eaten breakfast sooo it happens), have a super quick, nutritious food on hand, like these gluten-free, vegan Larabar minis. Get a 30-pack from Amazon for $17.09+ (available in multiple flavors and sizes). 3. Or, save your money and make these easy no-bake peanut butter granola bars at home! You'll need a baking pan and set of glass mixing bowls to make these. No bake + peanut butter = easy and filling. Get the granola bar recipe from Fannetastic Food. 4. If you're going to resign yourself to waking up earlier, use a white noise machine to ensure you're getting a restful sleep. Fun fact: I almost splurged on a sunrise alarm clock because I am such a light sleeper, it takes me FOREVER (like multiple hours) to fall asleep, and I was desperate for a solution. I am ear infection–prone so ear plugs were out. I gave this sound machine a whirl, and now I fall asleep within 30 minutes, stay asleep, and waking up on time is no longer a total terror. Get it from Amazon for $49.95 (available in multiple colors and styles). 5. Start slow and light – try a half an avocado, nuts, seeds, fruit, or a yogurt in the morning and see how you feel! Some of us just can't deal with eating a big heavy meal upon waking up, and that's fine. Plus if you save that other avocado half, you're already on you're way to making lunch! 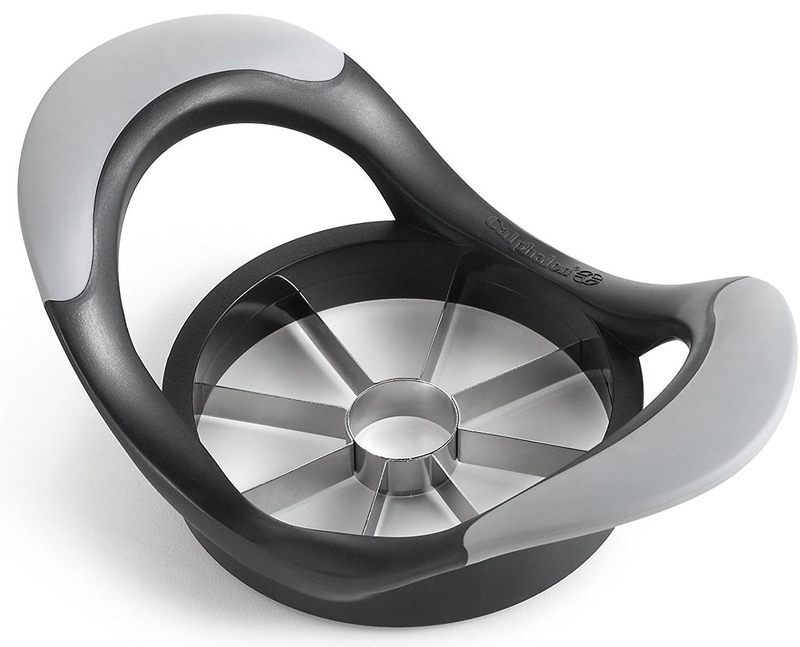 This three-in-one avocado tool will make cutting avocados as easy as peeling a banana. Find more inspiration from some high-protein breakfasts that aren't eggs. 6. Plan your meals ahead of time with a magnetic dry erase board, and make it a self-care goal to eat breakfast every day. Also handy for keeping track of groceries you need! 7. 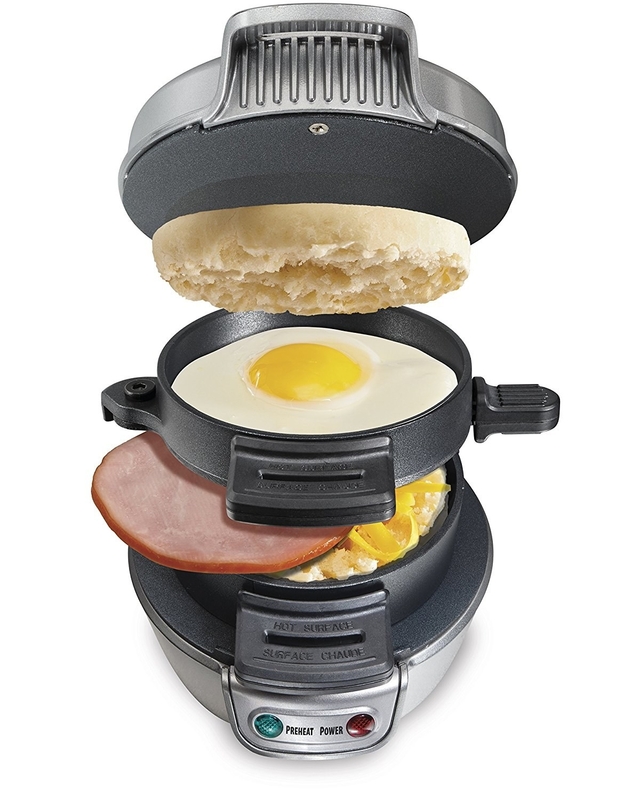 Invest in a breakfast sandwich maker (makes a sandwich in five mins!!) and a sturdy, reusable sandwich wrap so you can eat like an on-the-go champion every morning. Get The Hamilton Beach sandwich maker from Amazon for $24.99, and a two-pack of sandwich wraps from Amazon for $20. 8. Find your favorite hearty, quick meal and commit to it – like organic oatmeal that has just the right amount of sweetness. You can add fresh fruits/nut butters to this to make it more of a meal, or just add four ounces of hot water, let it sit five minutes, and eat as is! I once paid $5 for this same box in the food store, never again. Get it from Amazon for $3.89. 9. 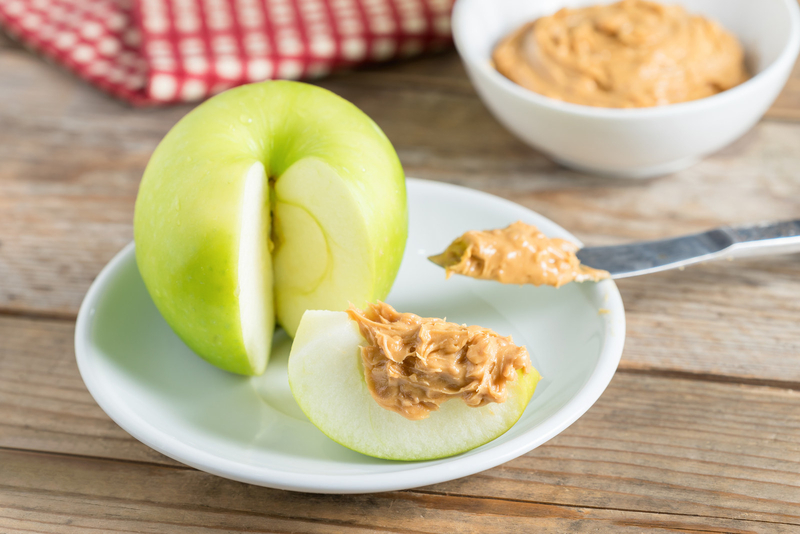 And then make your favs even easier to eat with the right tools, like this time saving apple slicer for apple and peanut butter. 10. Get a big microwavable mug and enjoy French toast in five minutes with this drool worthy recipe. You'll need a large microwave-safe mug and a whisk to whip up this delish babe. Learn how to make this French toast recipe from Budget Bytes. 11. Become a microwave mug cooking wizard with three more recipes. 12. 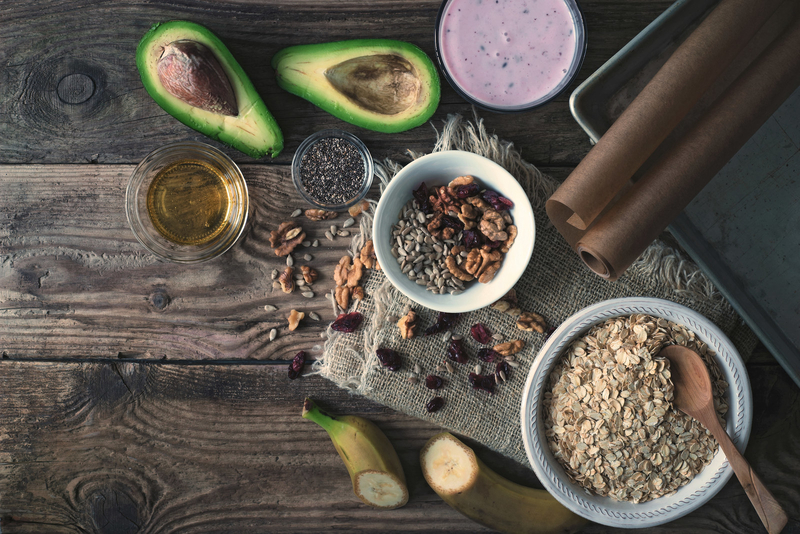 Need a protein- and caffeine-packed quick breakfast? 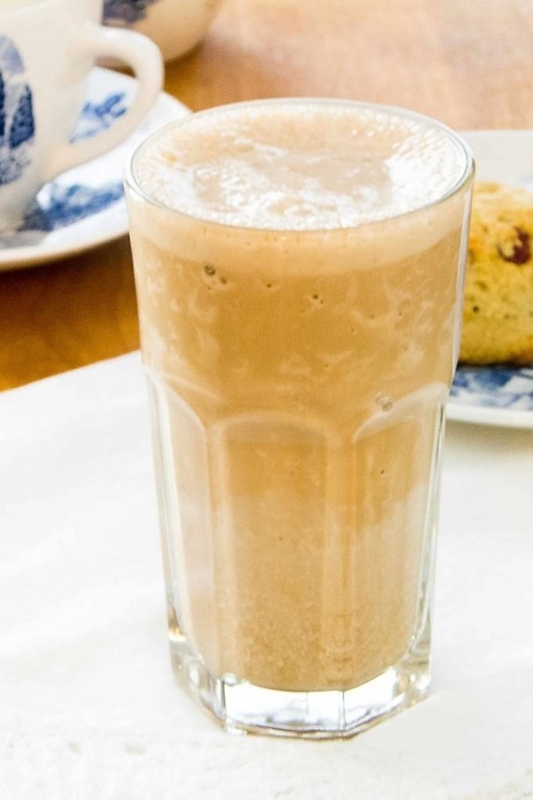 Try this espresso protein shake recipe, and you'll want to make it every morning. Good thing there's a cheap blender for that. 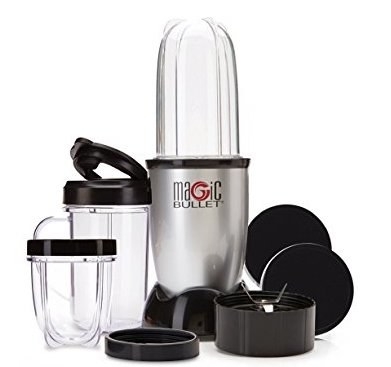 Magic Bullet set includes: one high torque power base, one cross blade, two solid lids, one flip top lid, two comfort lip rings, one party mug, one short cup, one tall cup, and recipe book. Check out the espresso protein shake recipe from Cook Eat Paleo. P.S. 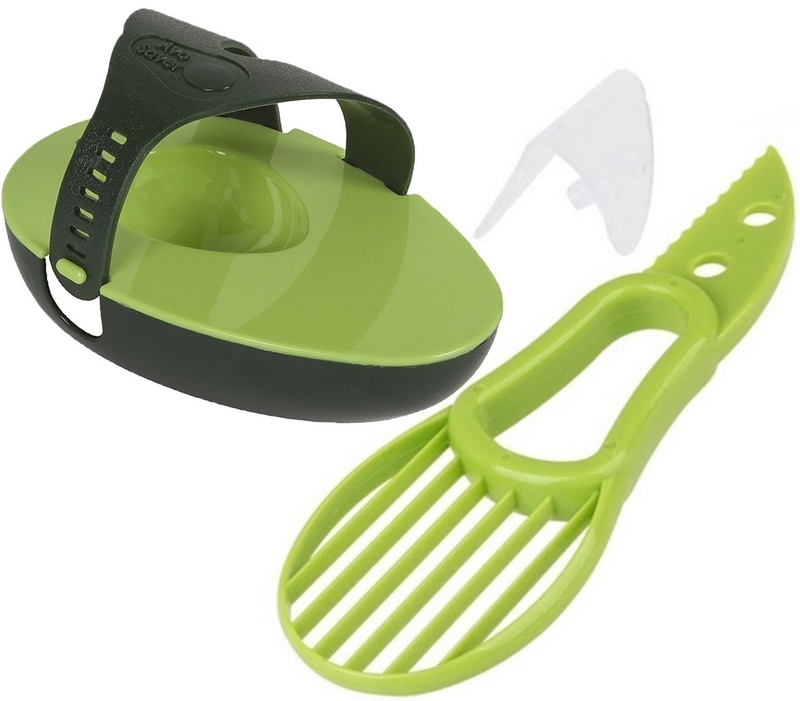 I personally swear by the Ninja Prep set bc it doubles as a food processor, and I love to cook but despise food prep. 13. Prepare a smoothie ahead of time by prepping your fruits and veggies the night before, and storing them in the fridge in the smoothie cup. Then just add your liquids/supplements in the morning, and you'll be out the door in no time (both the Magic Bullet and the Ninja sets come with lids)! You can also prep smoothies ahead of time by freezing fresh fruits. 14. Bring a glass tumbler with a straw into your life for better tasting (no plastic taste), smoothie sipping as you run out the door. 15. Research easy overnight recipes, like this protein-packed (15.8 grams per serving!) peaches 'n cream oat and chia pudding, or an overnight oats recipe. Pudding for breakfast? Yes all the way. You'll need chia seeds and glass dessert dishes for this 'gram worthy treat. Find the full pudding recipe from Cara's Cravings or learn how to make overnight oats fours ways. 16. Entice yourself out of bed with a frozen dessert maker. All you need to eat ice cream for breakfast is this miracle machine, and frozen fruit. Promising review: "All I can say is omg! This is my new best friend. It's so easy to use. I can portion my fruits and veggies for my diet, and have a healthy breakfast with it every morning. I enjoy every bit of it." –pauline b. Get it from Amazon for $48.23. 17. Bake some paleo blueberry muffins on a Sunday night, and eat muffins for breakfast all the work week long. You'll need almond flour and a muffin tin to become the breakfast eating champion you know you can be. Check out the full muffin recipe from Cook Eat Paleo. 18. Whip up some savory egg muffins that'll keep breakfast conquered all week long. Bonus, these are two/three ingredient egg muffins, can it get better than that?!? Meet your breakfast soulmate with the eggmuffin recipe from Cafe Delites. 19. Skip the eggs altogether with these freezer friendly, vitamin-packed tofu scramble wraps. 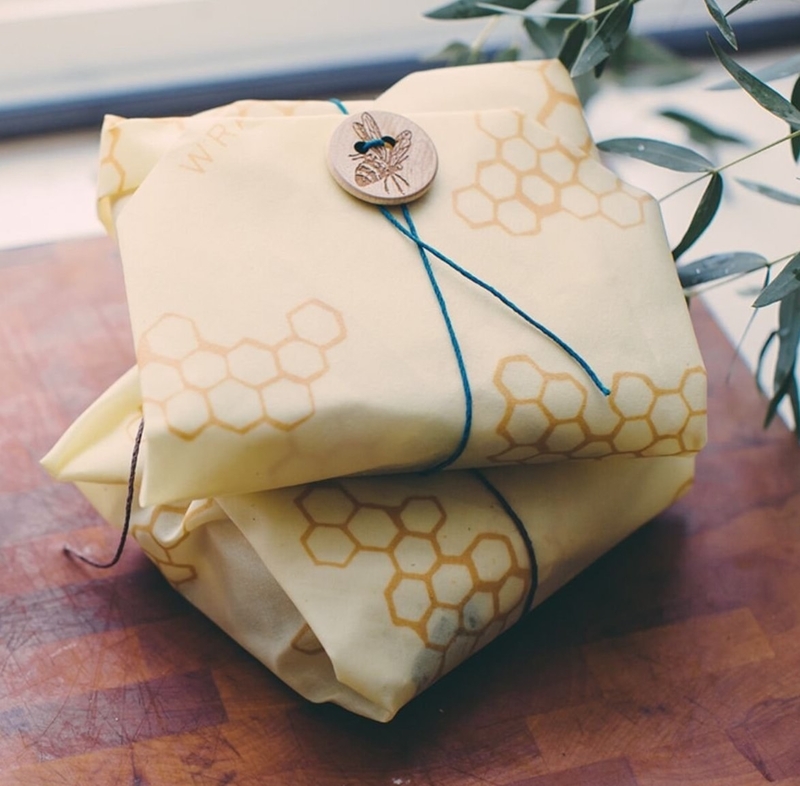 You'll need freezer bags and a tofu press to get this wrap ready to go. If you eat a lot of tofu, a press is a supreme investment to get the water out of tofu quickly. Make this easy wrap recipe from Oh My Veggies. 20. Consider throwing out every egg pan you have that is not this stainless-steel egg pan. Eggs will roll out of this babe and onto your plate in mere minutes. Get it from Amazon for $25.11. 21. Learn how to properly cook with stainless-steel pans with this video by Pamela Salzman! Find more tips like this from Pamela Salzman's YouTube channel. 22. Love Belgian waffles, but don't have the time to make them in the morning? THINK AGAIN. 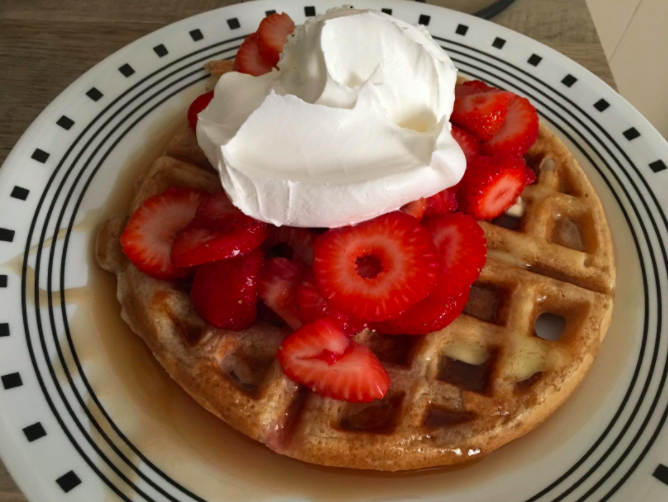 Meet the waffle maker and waffle mix that'll bring waffles to your belly in minutes. Read our full review of the waffle maker. 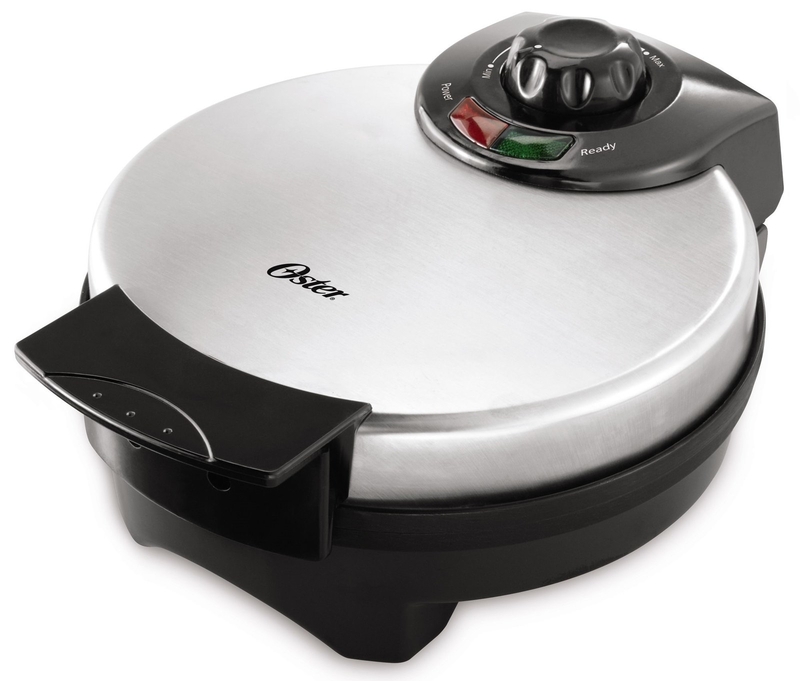 Tip: You can also make omelettes in a waffle maker! Just prep your eggs as you normally would, pour into the waffle maker, and press. You can also freeze big batches of homemade waffles.